The authors are all directors at Costs of Care, a non-profit organization that has received grant support from the ABIM Foundation for programs related to teaching value. Drs. Shah, Moriates, and Arora receive royalties from McGraw-Hill for the textbook Understanding Value-Based Healthcare. Clinicians and patients value thoroughness. However, as new testing and treatment options have multiplied over the past few decades, the desire to leave no stone unturned has had unintended consequences. Patients can be harmed by too much care, just as when they receive too little care. Until recently, the former had been largely overlooked. While the exact toll is hard to quantify, nearly every family in the country has been subject to overtesting and overtreatment in some form. The consequences include both physical suffering, from unnecessary surgeries or avoidable side effects, as well as “financial toxicities,” that damage household budgets to the point of crowding out food and basic security. The launch of the Choosing WiselyTM campaign was a turning point in teaching clinicians to weigh both the benefits and costs of care. 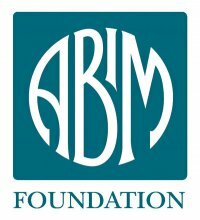 Led by the ABIM Foundation, the campaign began with a call to the medical professions to identify lists of frequently ordered tests or treatments that “providers and patients should question.” Choosing Wisely has grown to include 75 partners who have published 490 recommendations, and the campaign has spread to 18 countries. Since the inception of Choosing Wisely five years ago, the culture of medical education evolved from primarily valuing thoroughness to instead valuing appropriateness. In 2013, the ABIM Foundation and Costs of Care collaborated to develop a set of “Choosing Wisely competencies,” in consultation with stakeholders across health professional education. The group proposed three general competencies for all clinicians—knowing “why”, “when” and “how” to choose wisely. The University of California at San Francisco (UCSF) Center for Healthcare Value subsequently developed inter-professional competencies with greater specificity, stratified by levels of expertise, to enable more ready translation. These competencies have since been applied to the creation of multiple value-based health care curricular programs nationally. With greater clarity in the goals of “value-based” training, teaching resources proliferated. The “Teaching Value and Choosing Wisely Challenge” provided an early landscape analysis by putting out a call to identify both existing curricula and bright ideas. From 2013-2016, this call received 234 submissions across 14 clinical disciplines, representing six distinct pedagogical strategies. This Challenge has become an annual call with growing reach and visibility, including collaborations with the American College of Physicians (ACP) (2015), the AAMC (2017), and the Leapfrog Group (2017). Several submissions to the Challenge developed into sustained programs, including the “Teachable Moments” series in JAMA Internal Medicine, a successful annual resident “High-Value Care” contest at Banner Good Samaritan (now Banner University of Arizona Medical Center Phoenix) <LINK>. Key conceptual ideas such as “SOAP-V,” (the idea of including “value” assessments into daily inpatient oral presentations) and the “I-CARE” conference (Interactive Cost Awareness Residency Exercise) have now been adopted at multiple medical training programs across the US. A handful of widely-used, “off-the-shelf” resources emerged as well. In 2013, The ACP and the Alliance for Academic Internal Medicine introduced a free high-value care curriculum, which has been adopted by many internal medicine resident programs across the US. In 2015, McGraw-Hill published an introductory clinical textbook on value-based care, which was subsequently adopted into a broad array of medical school and postgraduate courses. The new Dell Medical School at The University of Texas at Austin released a set of interactive, adaptive online learning modules in 2017, aiming to teach the basic foundation of value-based health care to medical learners at any stage of training. Despite great strides in educating clinicians to choose wisely among the panoply of available diagnostic and treatment options, significant challenges remain to ensure that our recommendations are affordable. Necessary care can still be expensive. The average American worker has experienced a 230% increase in their out-of-pocket medical expenses over the last decade. The majority are deeply concerned about the risk of being saddled with an unexpected and untenable bill. Clinicians are equally in the dark and often lack insight into how their decisions impact what patients pay. Further, clinicians often do not know what legitimate options may exist to limit their patients’ financial exposure. Opportunities to help patients optimize their health insurance coverage, develop payment plans, or consider the trade-offs of less-expensive alternatives, are frequently lost. Clinicians have innumerable responsibilities and many believe that acting as financial agents is beyond their scope of duty. Moreover, prices are rarely available at the point of care. Nonetheless, the overwhelming majority of patients expect clinicians to be able to answer basic questions about cost. Figuring out how to do this well is likely to be the next major hurdle for medical educators to contend with. Trainees will need a framework to identify patients at risk and to be able to either answer questions that arise or refer them to someone who can. Because each patient’s needs may be unique, clinicians may need to work in concert with case managers, financial counselors, social workers, and other members of the inter-professional team to optimize plans for individual patients. To begin addressing this need, Costs of Care has begun defining the “cost conversation”—an increasingly common occurrence in clinics, hospitals, and pharmacies across the United States. We produced a series of free, CME approved, video modules that demonstrate common pitfalls in having these conversations as well as practical solutions. To incentivize greater focus on this type of education, we partnered with the healthcare transparency company Amino to publically certify every physician in the country who completes our basic training in taking to patients and colleagues about costs. This is a first step but it will not be enough, and given the idiosyncrasies of how American healthcare is financed, the second and third steps may be even harder. Fortunately, medical education is capable of driving necessary transformation against the odds. The focus of the clinical professions on simply doing more, no matter what the cost, persisted for over half a century. Today, in a recent shift largely driven by a community of committed educators, appropriate care has become a professional norm. To truly do all we can to prevent harm, educators will have an equally critical role to play in ensuring patients can navigate the system affordably. Understand the professional obligation to communicate with peers and team members about the value of tests and procedures. From Moriates, Arora, Shah. Understanding Value-Based Healthcare. McGraw-Hill, 2015.51 Used with permission.